Join HauNui Press and award-winning weavers-of-words: Leonel Alvarado, Joy Green and Tim Upperton, for an evening of poetry and celebration to mark the launch of The Kete Series – poetry crafted in the Manawatū. Poetry readings, refreshments and book sales on the night. All welcome. 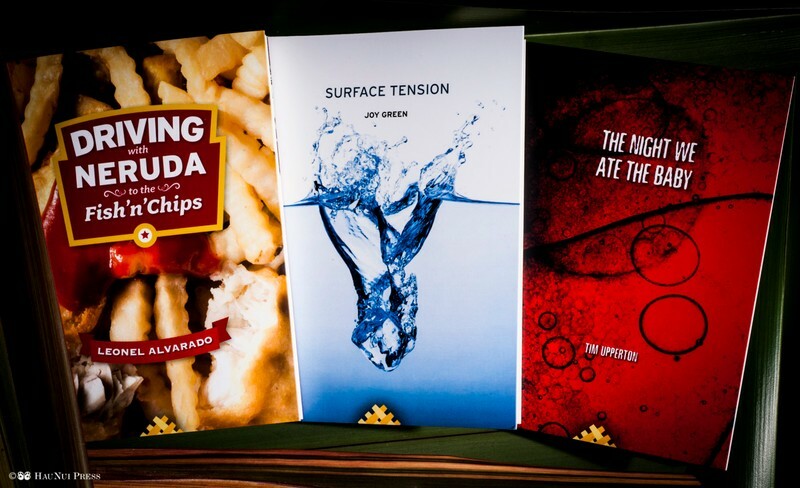 For poetry lovers, the three titles that make up this new series: Driving with Neruda to the Fish 'n Chips by Leonel Alvarado; Surface Tension by Joy Green; and The Night we Ate the Baby by Tim Upperton, will be available at the launch as a limited edition, signed ‘basket set’. Cradled in a kete crafted by local Manawatū weavers, it’s the ultimate traditional tote packed full of juicy poetry goodness!